Carpenter Body Works was located in Mitchell, Indiana. The Ralph H. Carpenter Body Company was founded in Mitchell, Indiana, in 1919 by blacksmith and wagon maker, Ralph Carpenter. 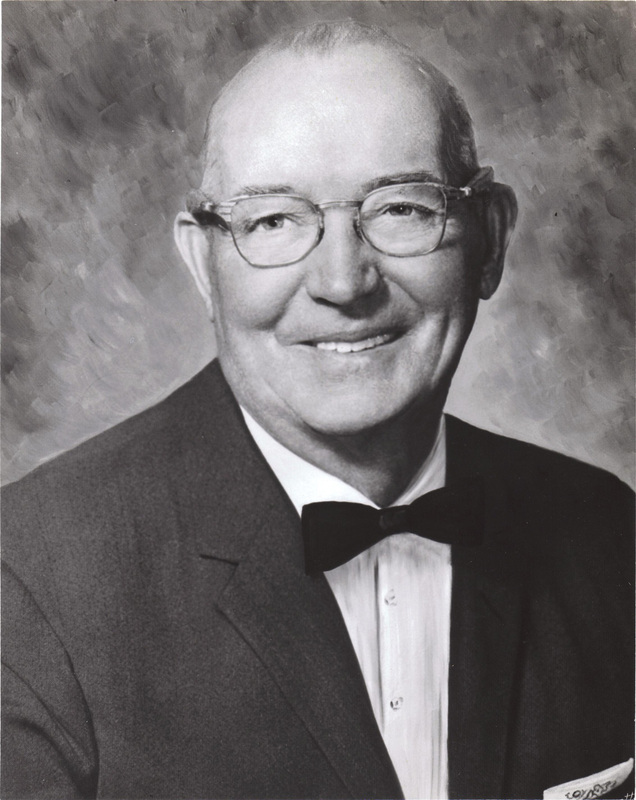 Founder, Ralph H. Carpenter—His company began making wood hacks and buses in 1923. 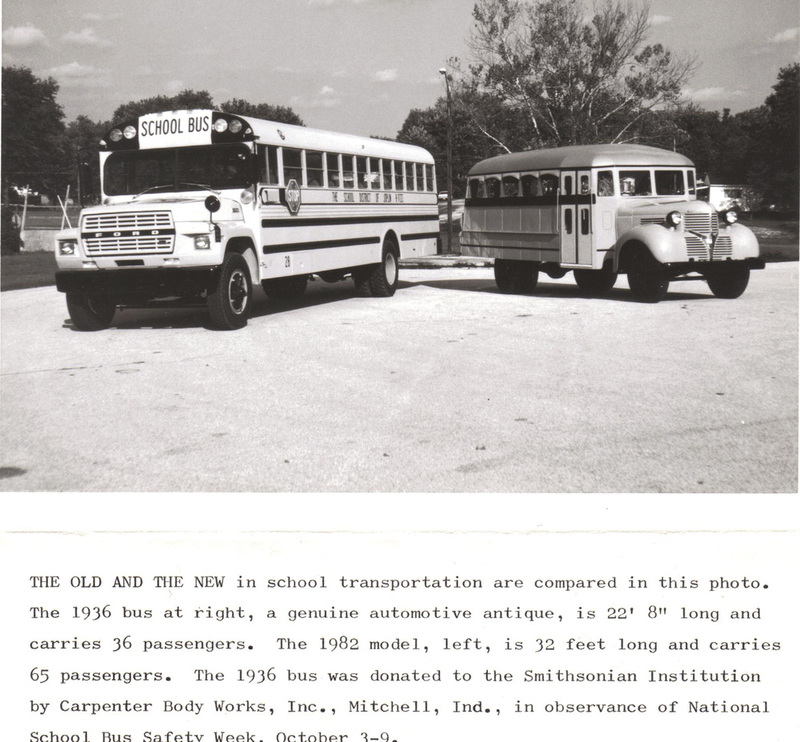 This is the first all-metal school bus ever produced by Carpenter Body Works. It is a 1935 Dodge bus. 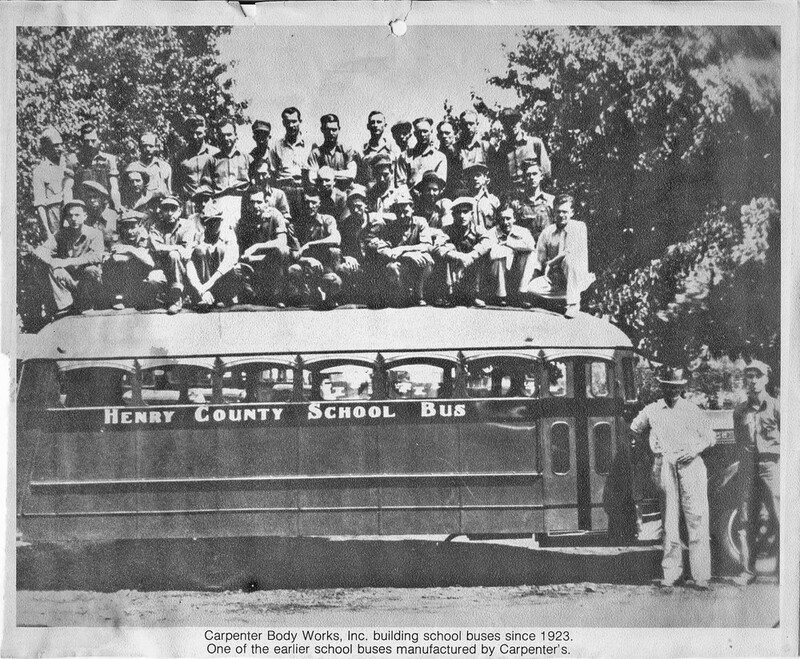 All 35 Carpenter employees are standing on top of the bus, and Ralph Carpenter and Ollie Eager standing in the foreground. Pages from Ollie Eager's 1936 handwritten log book. Ellsworth “Nifty” Routh, was a blacksmith at Carpenter Body Works and was valued for his ability to fashion any piece of equipment, part or tool. 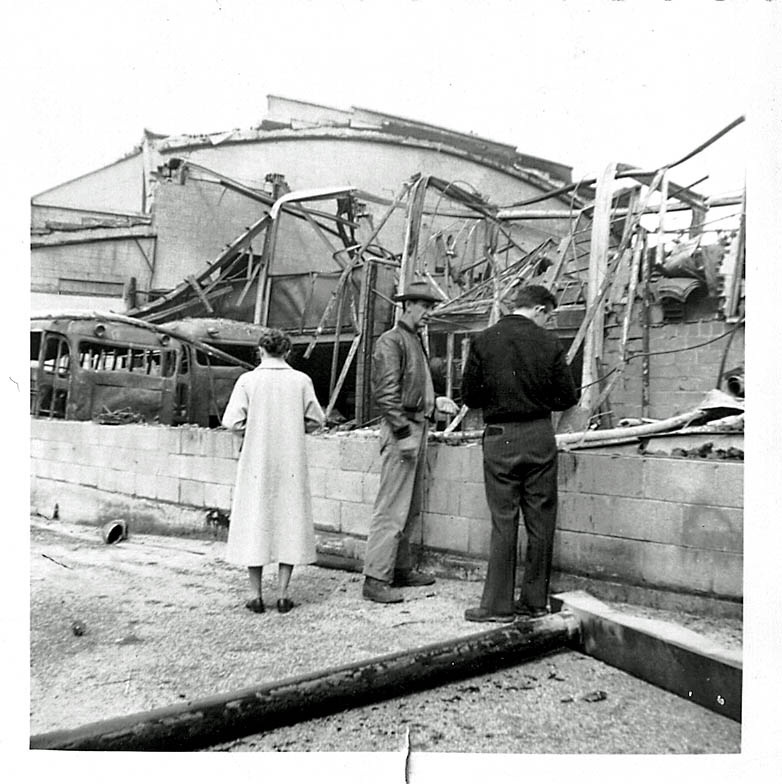 On March 12, 1956, a fire broke out inside Carpenter’s Mitchell plant. The plant was destroyed. After the fire, the company was back in production. Employee, Carl Reynolds, created a scale model of a Carpenter bus. 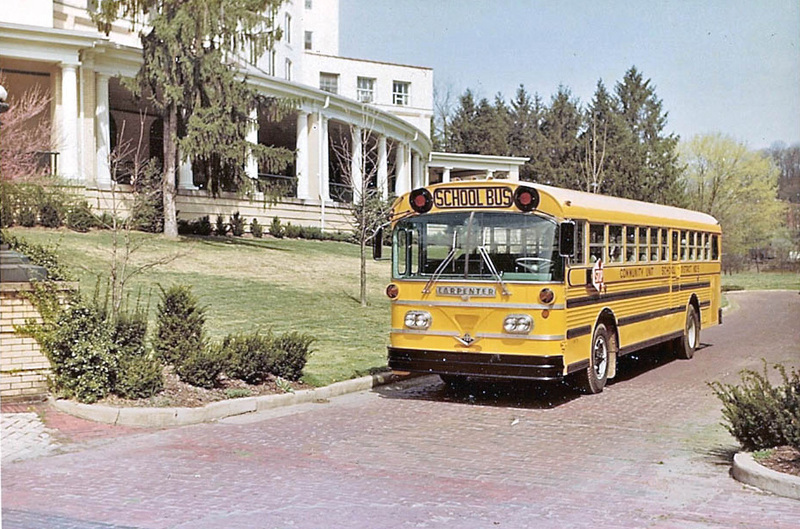 Decades of being one of the “Big Six” major manufacturers of school buses in North America. 2001: After years of declining market share, Carpenter Body Works was closed by its parent company, Spartan Motors. 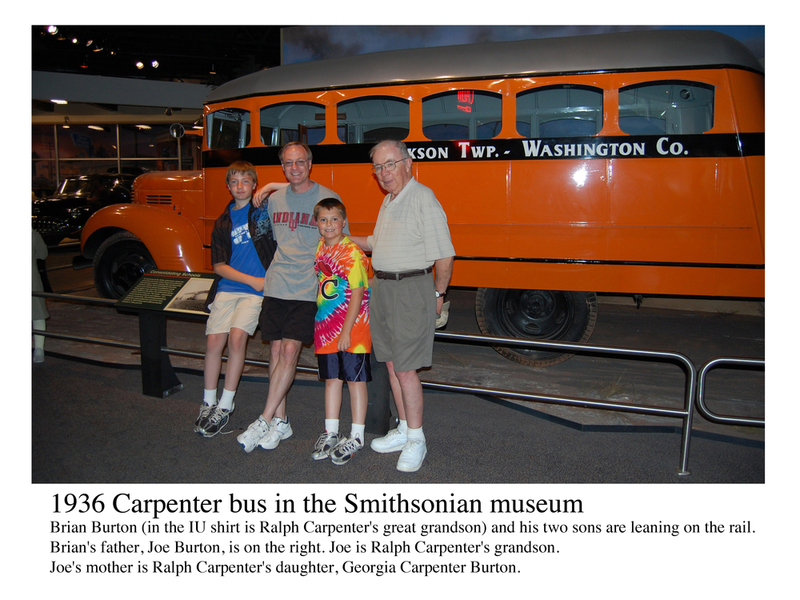 A Powerpoint traveling exhibit of more than 100 images from Carpenter is available on a loan basis for your group or meeting. Contact Jeff Routh to make arrangements to use this presentation.